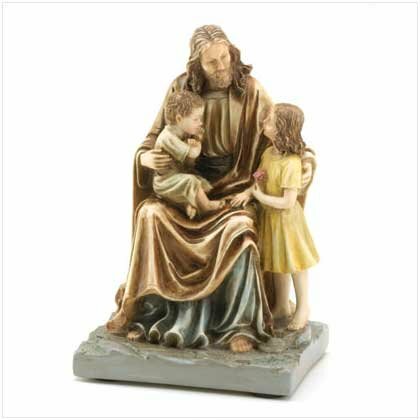 Jesus, his gaze beatific and radiant, sits patiently holding two adoring children in his arms. Polyresin. Measures: 4" x 3 1/2" x 6" high.